On Monday, Mars and Saturn conjoined in Capricorn, which helped each of them keep their temper simmering on the back burner. Often, Mars-Saturn conjunctions can be dangerous and explosive, but as both these forces are ensconced on the orderly, regimented throne of Capricorn, it grants them some restraint. Like the Emperor in the Tarot, whose number is four and whose ruling sign is Aries, Mars and Saturn in Capricorn know that to command respect they must offer respect. However, bossy little fire-starter Mercury in Aries squares them both, making those delayed tempers sputter like hot oil. Things could get forceful and vicious. Add to that mix a moon in Sagittarius, which can trigger a lack of impulse control, and we’ve got a conflict-ready day in a conflict-ready week. More than ever it’s important to watch our words, but it’s equally crucial to observe our reactions, even if things go unspoken. Conflict is natural, and sometimes quite necessary, and much of what we face this week and next is just that – the essential airing of dirty laundry, pulling skeletons from the closet, confronting long-held patterns with wholehearted work. We must be ever vigilant in being certain not to overstress ourselves and in authentically letting things go. To help cool it all down, this week calls for the balm of sodalite. Held or worn, this blue-and-white stone promises to alleviate some of the aggravation and aggression we might be experiencing. Sometimes, sodalite features a smattering of pink manganese. These pieces with pink inclusion are best for doing grudge-releasing work with intimates, such as family members or partners. 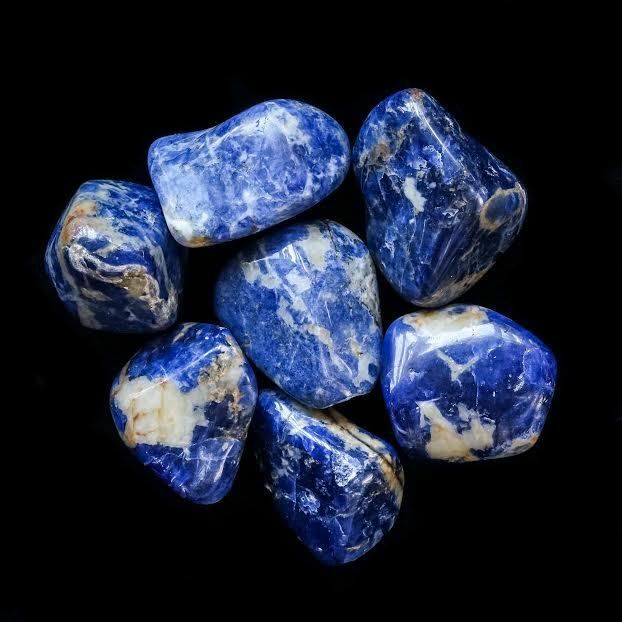 Sodalite has a lovely, soft, receptive, and introspective energy that can help put out some of these smoldering underground fires. It can alleviate unnecessary grudges and help us let go of attachments to our own judgments. Also, sodalite stimulates the throat. With its support, what we do need to express can be gentler and better received. Grounding Elements Pro-Tip: This velvet bag full of rough sodalite stones is the perfect addition to any altar.